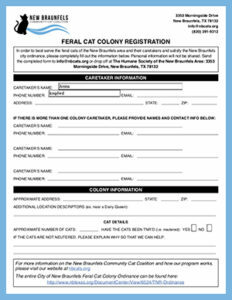 In order to best serve the feral cats of the New Braunfels area and their caretakers and satisfy the New Braunfels city ordinance, please completely fill out the information below. Personal information will not be shared. 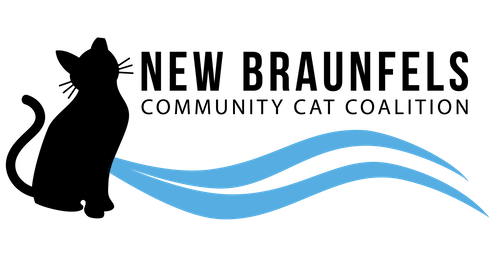 The entire City of New Braunfels Feral Cat Colony Ordinance CAN BE FOUND HERE. If there is more than one caretaker, please fill out the information below. If the cats are not neutered, please explain why so that we can help.